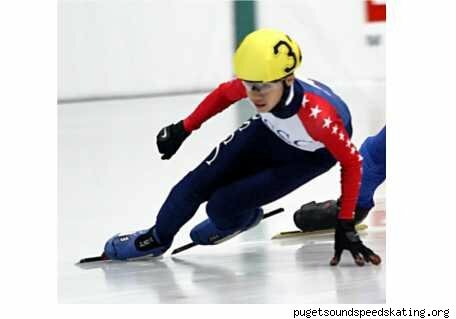 Short track is a type of speed skating in which the athletes compete to cover a 111.12 meter oval ice track as quickly as possible. The Olympic races include 500m, 1000m, and 1500m races (for both men and women), and relay races at 3000m (women) and 5000m (men). Eight sets of medals are awarded. In contrast to what is used for speed skating, the skate blades in short track are not positioned along the central longitudinal axis of the shoe sole. Rather, they are strongly shifted to the left of this axis. Give some of J.R.’s off-ice exercises a try.